Judy Warriner Walke, a former director of The Vermont Leadership Institute, has been associated with VLI since helping to launch the program in 1995. She has also contributed to the Vermont School Leadership Program and seminars/conferences for the Vermont Leadership Network. Judy is an organizational development consultant and facilitator whose work has been energizing inspired teams and reflective leaders since 1993, with a wide range of organizations, companies, institutions, and communities. 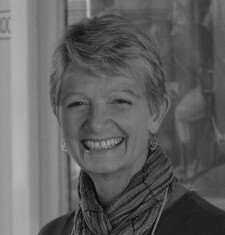 To her work with groups, Judy Walke brings fifteen years’ management and planning experience in manufacturing with Digital Equipment Corporation, where she led her 60-person production group from a traditional hierarchy into a network of successful self-managing teams, with substantial increases in business results and employee morale. She has worked in a variety of nonprofit organizations, in both staff and board roles, and in government at the local and state level. Judy holds an M.B.A. from the Amos Tuck School of Business at Dartmouth College and an undergraduate degree in history of art from Smith College. She is certified to administer the Myers-Briggs Type Indicator. Judy has been a resident of Montpelier for over forty years, serving in many volunteer roles, including long-range planning for the schools and as steering committee member for enVision Montpelier, a very long-range citizen engagement effort to plan for a sustainable city. She loves travel, reading, singing, tasteless jokes and terrible puns, and time outdoors. She and her husband Steamer Walke are grateful to have all three of their young grandchildren now living in Vermont.